I didn't like Cinestill 800T the first time I shot it a couple of years ago. I was using the 35mm format at the time, and ended up testing it out randomly on a sunny day at a petting zoo. The results were definitely different than what I used to in terms of color negative film, but I didn't see any advantage over using something like Kodak Portra. The colors of Cinestill 800T get pretty funky when shot in daylight (if you aren't using an 85 or 81 filter), but that's because it's a tungsten balanced film. When I heard that Cinestill 120 was recently released, I decided I'd give it another try but this time I'd shoot it under the dim glow of tungsten bulbs at night in Victoria BC. Cinestill 800T in 120 format, shot on Mamiya RZ67 Pro ii w/ 110mm 2.8 lens. Shooting medium format at night is actually quite a challenge when relying on available light and still trying to use a fast enough shutter speed to make portraits without any motion blur. I brought a sturdy tripod, but it still wouldn't be enough because the lighting was so dim. I decided to push my film (one stop for Cinestill 800T and three stops for Ilford HP5) in order to be able to shoot at 1/30th - 1/60th of a second with the lens wide open at f2.8. 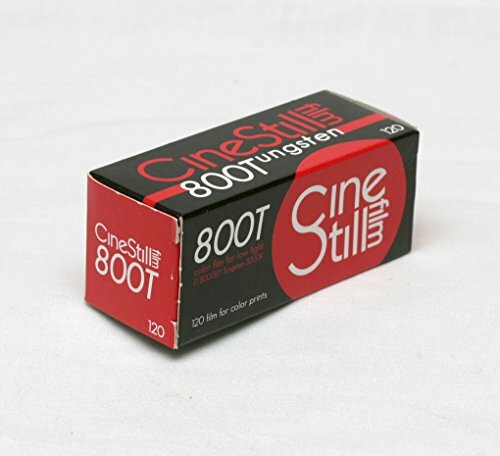 Pushing film allows you to meter the film faster than what it's ISO is rated for, and a consequence of this is that it also increases the contrast and grain of the image. After scanning in the negatives of the Cinestill roll, I finally understood where the film really shines. This film turns nighttime city streets into a dreamland when other color films can suffer from some pretty severe color balance issues. I noticed that the unique halo effect that Cinestill 800T in 35mm has on light sources is noticeably less prominent in the 120 version. The color palette is also quite cinematic and muted, which for me only adds to it's appeal. The fact that this film hasn't yet been replicated as a digital preset also adds to the intrigue. I can say without hesitation that I'll be using this film a lot more often in the future. I also brought along a roll of Ilford HP5 Plus 400 in the 120 format as well. Given that the lighting was so dim, I ended up pushing the film to iso 3200(!). It's situations like this that most photographers take for granted, with their digital cameras that have amazing low light capabilities. With film, I really had to be extra careful with how I shot and scanned the film to get a nice result. 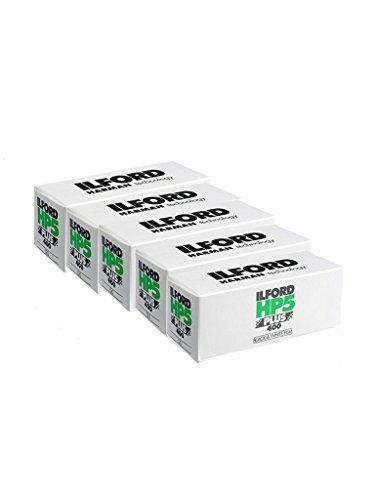 I've always loved HP5 for it's classic look, wide exposure latitude, and very reasonable price. As always, I can happily say it did not disappoint. Ilford HP5 Plus 400 in 120 format, shot on Mamiya RZ67 Pro ii w/ 110mm 2.8 lens. Black and white film is always pretty special, but I'm absolutely in love with it for night portraiture. I've always been drawn to classic fashion portraiture, and I feel that black and white film helps to lend a timeless quality to these types of subjects. From the high contrast to the wonderful texture of the grain, it just feels otherworldly. One of my goals with this shoot is for you the viewer, is to not really know when these images were taken just by looking at them. I learned a fair bit about using film in low light situations and have a couple of takeaways that might be useful for you. If I had to do it again with just ambient light, I'd probably shoot a fast 50mm lens on a 35mm camera at around f1.4 or f2 in order to get a fast enough shutter speed (ideally 1/60th or higher) i without having to push the film. I do like the end result of pushed film, but it was noticeably more difficult to correct in the scanning process. For that reason, I'd probably choose Ilford Delta 3200 over HP5 and consider the added grain an artistic bonus. Lastly, I think I'll try this again but with a strobe or battery flash along with a large soft modifier such as the Photek Softlighter, which is my go to light source in studio environments. That would resolve any worry about not being able to freeze my subject, and it would add another dimension of high end quality to the final images. If you're just getting started in film photography, I think the most trustworthy place to buy used camera gear is KEH Camera. If you have any thoughts or experience on shooting film at night, I'd love to hear how it went. If you haven't tried it yet, I highly recommend you give it a try. Everything just looks so different when the sun goes down.